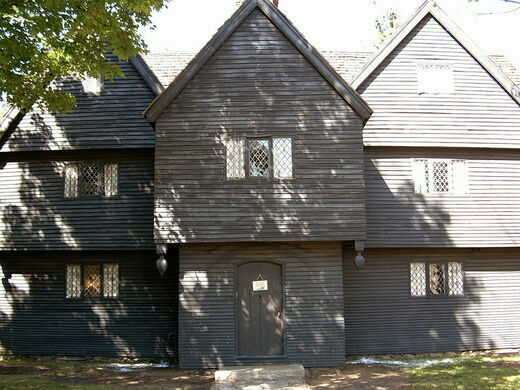 The Salem witchcraft trials took place between February 1692 and May 1693. 185 were accused, 59 were tried, 31 were found guilty, and 19 were executed. Those final unfortunates were hanged, and one man was crushed to death while being tortured. Among the judges who convicted the witches (based on “spectral evidence,” evidence based upon dreams or visions) was Jonathan Corwin. As a local magistrate and civic leader, Corwin was called upon to investigate the claims of diabolical activity when a surge of witchcraft accusations arose in Salem and neighboring communities. He took the place of Judge Nathaniel Saltonstall, who resigned after the execution of Bridget Bishop. Corwin served on the Court of Oyer and Terminer, which ultimately sent nineteen to the gallows. 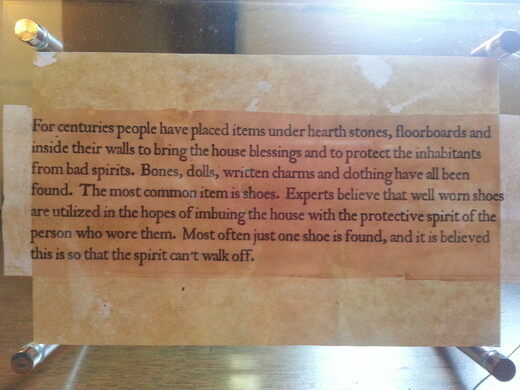 All 19 refused to admit to witchcraft and maintained their innocence. 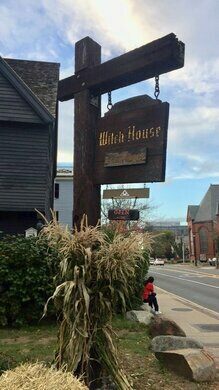 The Witch House, as it is now known, was his home and is the only structure still standing in Salem, Massachusetts with direct ties to the Salem witch trials of 1692. 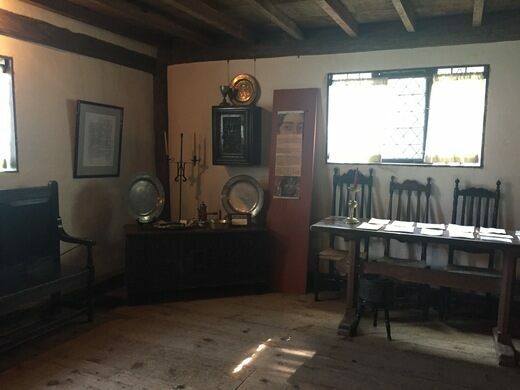 The house was bought by Judge Corwin in 1675, when he was 24 years old, and he lived there for more than forty years. Corwin is buried in the nearby Broad Street Cemetery. The house remained in the Corwin family until the mid-19th century. If you're visiting Salem during Samhain, better known as Halloween or anytime in the month of October, get there early (even during the week). One does not simply get a parking space for any length of time.